The Vibraband is a wonderful musical instrument invented by Stan Wood. Everyone who has tried to find out how to play one, or even what it is made of, has at least found out that it seams to be very difficult, or perhaps some secret(s) involved? To play like Stan Wood may remain a bold Title for some time though..
All the concepts of the three playing videos together with a vibraband „create“ the instrument, so it may not help to watch just one video. If it still does not play: have some patience. Stan Wood states in one Video to have practiced 35 years.. it is not a simple instrument to learn, actually the simplest looking instruments are sometimes the most complex in the end.. but utterly wonderful and worth while! As this is a first try to put these things in to words, I am eager to hear your feedback! (and I am sorry for my untrained English, and that I do sometimes sound arrogant in those videos… I didn’t have more time to make them, and am not a friend of cutting). 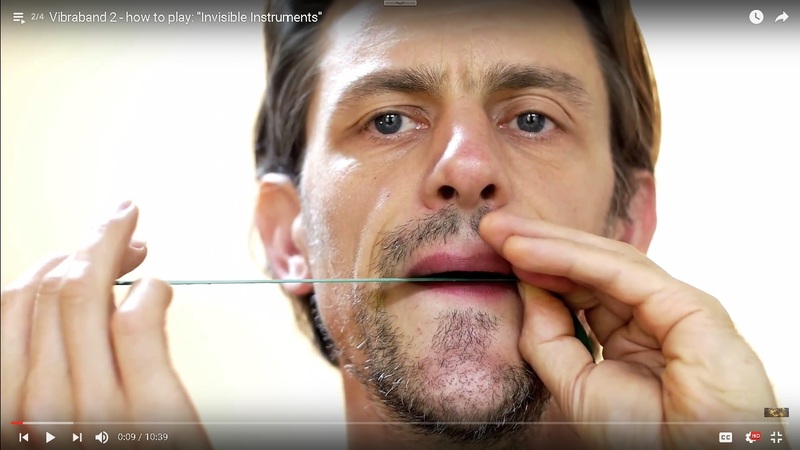 How to play: „invisible instruments“..
Dieser Beitrag wurde unter Allgemein, Tutorial, Vibraband veröffentlicht. Setze ein Lesezeichen auf den Permalink.